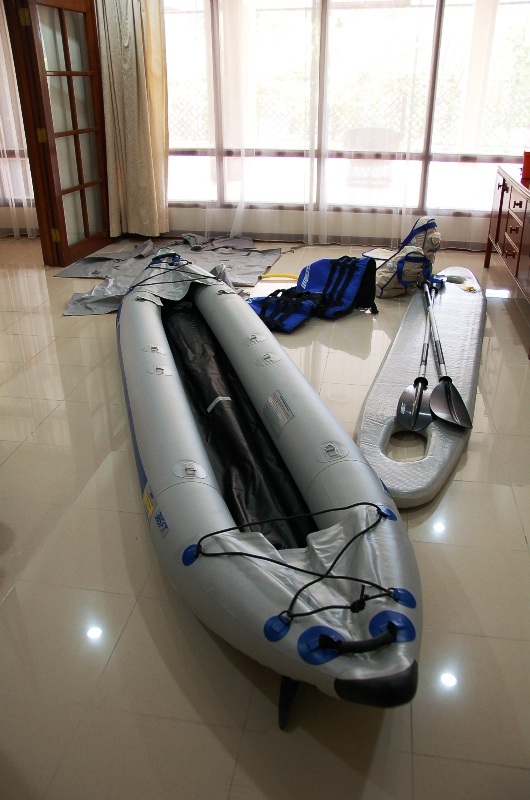 Over Christmas, I had a very cool experience with Sea Eagle, a company that sells inflatable sports kayaks and other boats. It was such a great experience that I wanted to share it with others. So here it is! How we got there is a story onto itself, but what mattered was that we were living on a coral island of less than 100 square miles in size, deep in the South Pacific, surrounded by less people and more water than we’d ever seen in our lives. This, coming from a girl who grew up in the world’s largest archipelago. 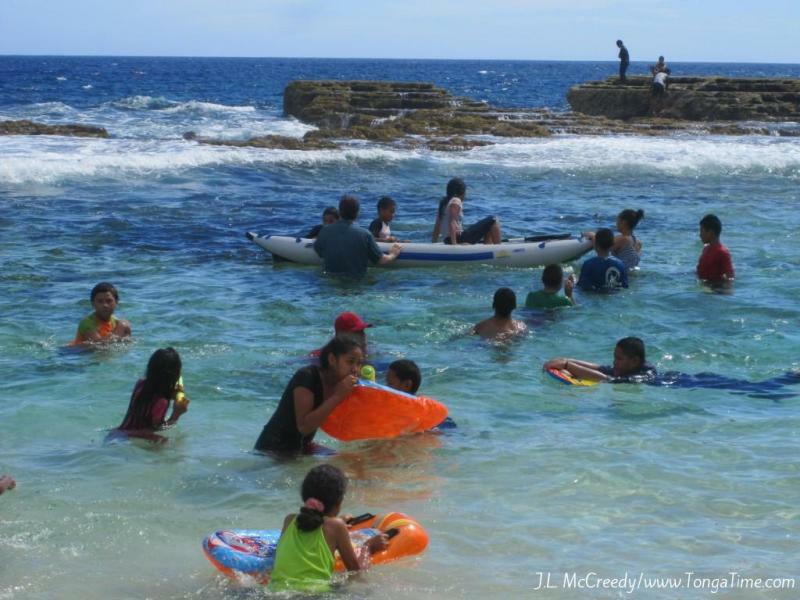 Living in Nuku’alofa has its challenges and rewards, like anywhere else. 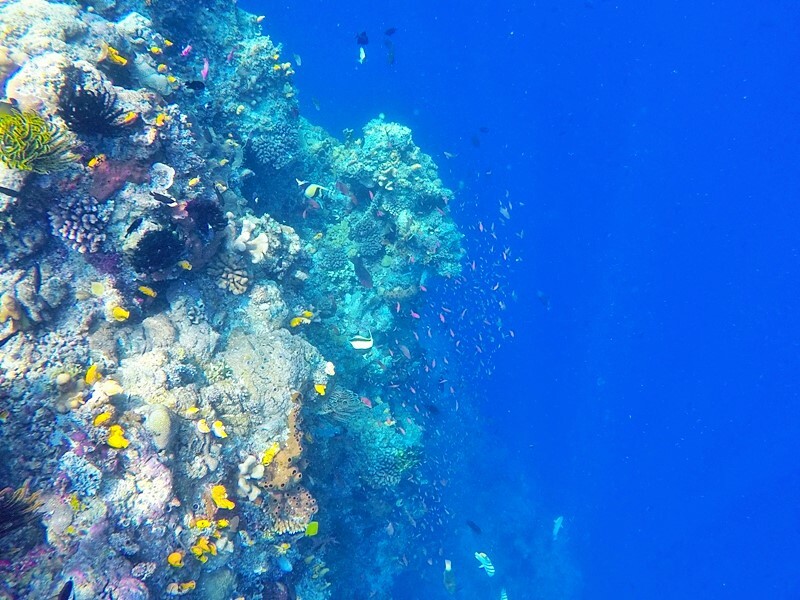 It’s just that, in Nuku’alofa, the challenges and rewards weren’t like anywhere else. And on an island with a total population of 70,000 souls and not a single red light, one of our challenges after living there for six months was feeling a wee bit island fever-y. After all, there are only so many times you can go on an “island tour” before you realize that, for most people, it would be physically impossible to cover the entire circumference of one’s habitable environment over the course of an afternoon. Or leisurely cycle your entire island in two days, including lunch and photo breaks. Stuff like that. And then, when you see all that velvet-aqua-hued water stretching for miles and miles into the distance, with intriguing little islands and abandoned ships dotting the seascape, and not be able to go there … well human nature dictates that that becomes the one thing you yearn most to do. 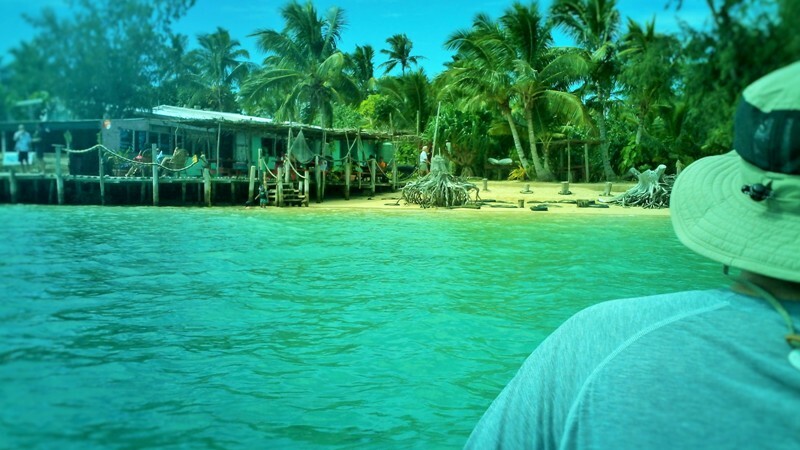 The problem we faced was, even though there were boats for sale in Tonga, almost everything was prohibitively expensive. 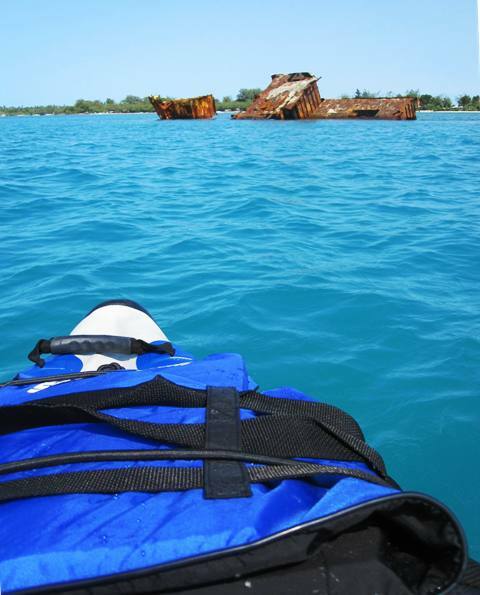 Most kayaks were imported from New Zealand or sold used at inflated prices. And since we had a tiny (but so cute!) four-wheel drive mini-jeep-like vehicle called a Mitsubishi Pajero Jr., we didn’t have the proper gear or enough room to transport a normal kayak to the launching areas we wanted to go. Also, since we thought at the time that we might be transferred to another island in the near future, we were hesitant to buy something we couldn’t easily pack up and take with us. So that’s how Sam came upon the idea of ordering an inflatable sports kayak through Sea Eagle, a company based out of New York. He found them after extensive research on viable kayak options, and though we were initially skeptical (“An inflatable kayak? 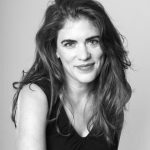 Really?”), after reading the glowing testimonials of Sea Eagle customers — many of whom were avid sports enthusiasts that did impressive, hard-core stuff we’d never, ever have the guts to try — we decided to give it a shot. Even better, Sea Eagle’s products came with a three-year warranty, so we felt confident that our money would be in safe hands. Finally, we’d found our solution! Maybe it’s just us, but we thought it was kind of funny. 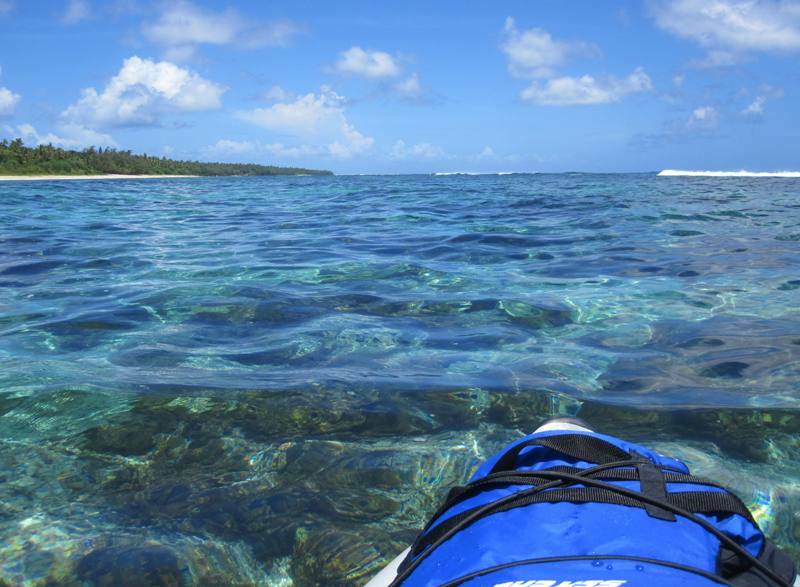 Our Sea Eagle kayak arrived in September of 2011, and immediately, we put it to work. The thing was awesome. So easy to pop into the back of our car and then assemble on site. 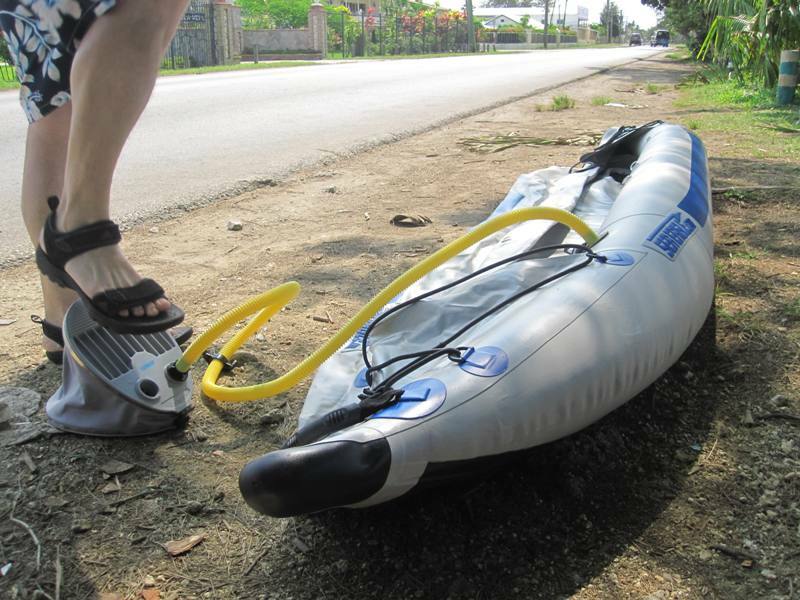 And the funny foot pump really does inflate the hull and base in around ten minutes! Everywhere we went, kids would scramble out of the water and men would pause in their fishing to watch us as a folded mass of rubber on the ground turned into a little boat. Kind of like magic, really. 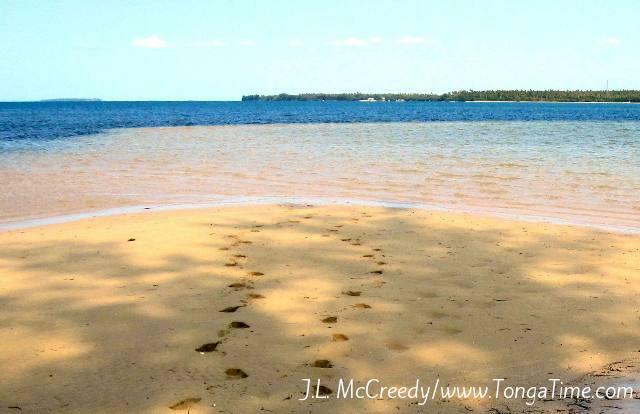 We paddled to islands — both deserted and tourist-ed. We’d take our kayak with us to beach picnics — like our Christmas Day picnic with our neighbors — and laugh as all of the kids scrambled to take turns in our little boat. The only time we didn’t have fun with our Sea Eagle kayak was once when the weather was extremely choppy and windy — so much so that we should not have ventured out on the open sea in any sort of boat — and had a memorably stressful time getting back to shore. Lesson learned. Other than that, our kayak handled like a pro. We left Tonga in 2013 and didn’t have a chance to use it again until over two years later, after we’d moved to Balikpapan, Kalimantan, Indonesia. And then, one long weekend in September of 2015, we decided to go on a snorkeling/kayaking trip to Manado, Sulawesi (formerly known as Celebes). We’d already been to Manado — and the famous dive destination of Bunaken Island nearby — once before, and so knew it would be a good place to introduce our little boat to Indonesia. In preparation for the trip, we dragged our kayak out of the closet, inflated it and allowed it to sit fully inflated in our home office for a couple of days, just to be sure all was as it should be after a two-year-plus-hibernation. 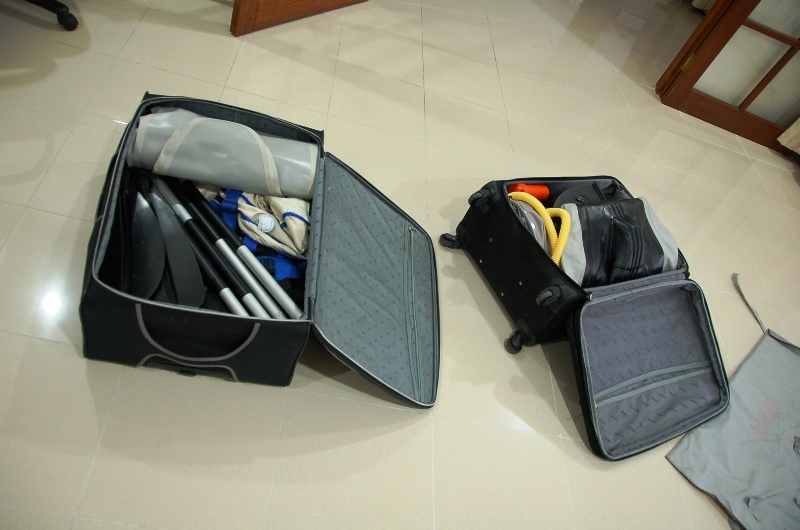 It held air perfectly so we deflated it, then packed it into two suitcases (the hull and pump in one, the floor and accessories in the other) to distribute the weight and make it easier to transport. 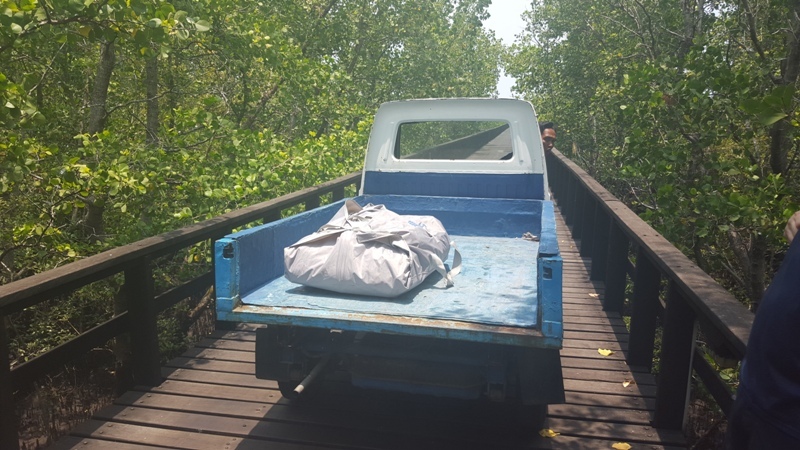 Once in Sulawesi, we put our kayak pieces back into its original tote bag for transport to the pier. We provided vast entertainment to the hotel staff where we stayed by insisting we lug our “inflatable kayak” to the pier to use. 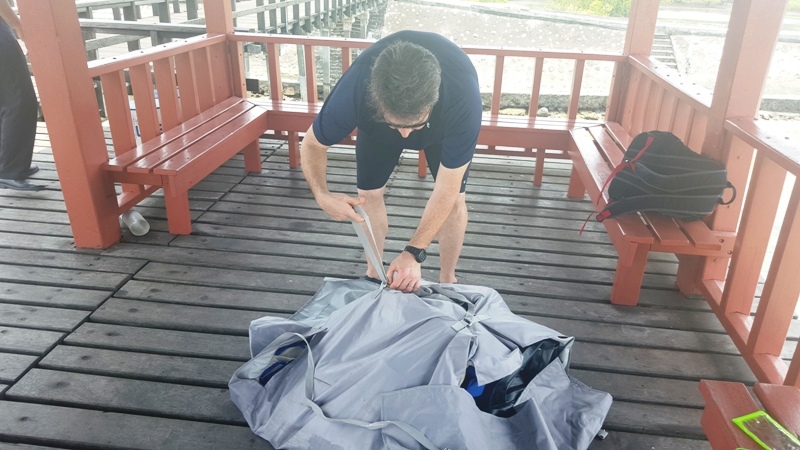 They’d never seen anything like it, and though they politely allowed us to place it on their buggy used for dive equipment to take to the pier, from the looks on their faces, they thought we were suffering perhaps from sun poisoning. 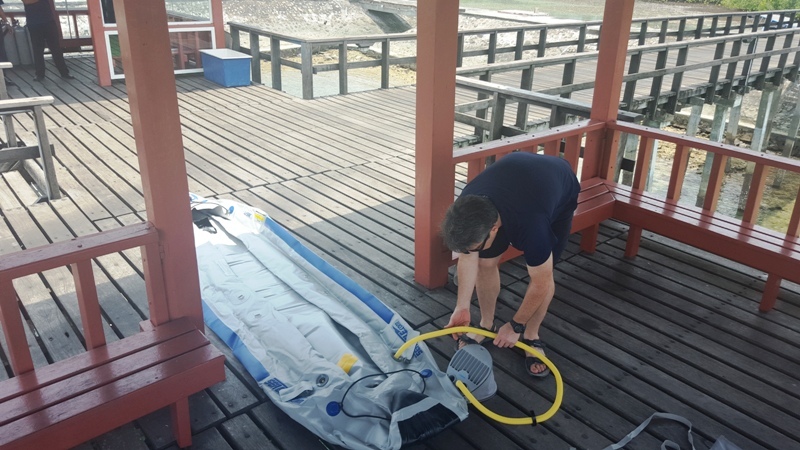 Once at the pier, we assembled the parts while at least six members of the staff diving team stood around with utter curiosity as my husband began using the foot pump to inflate the kayak and I blew up the inflatable seats. We didn’t mind the smirks because we knew we would astound them all when our sports kayak finally took shape. Just as we were slipping into our life vests, a seam on one side of the Sea Eagle kayak suddenly became unglued, and within seconds, our wonderful little boat wilted before our eyes. The staff tried to hide their sniggers as we groaned in disappointment. We tried to use the patch glue, but it was too old at this point and after sitting in storage had become nearly solidified. We did our best to ignore the stares around us as we gloomily packed our kayak up and placed it on the buggy to be returned to the hotel. 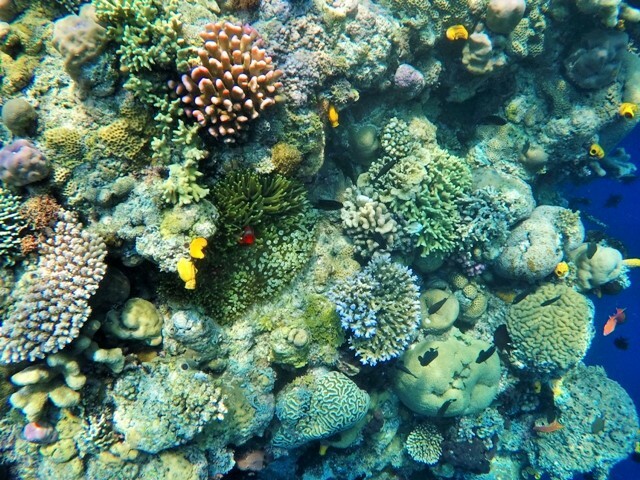 On the bright side, our trip was far from ruined as we still enjoyed lots of amazing snorkeling. 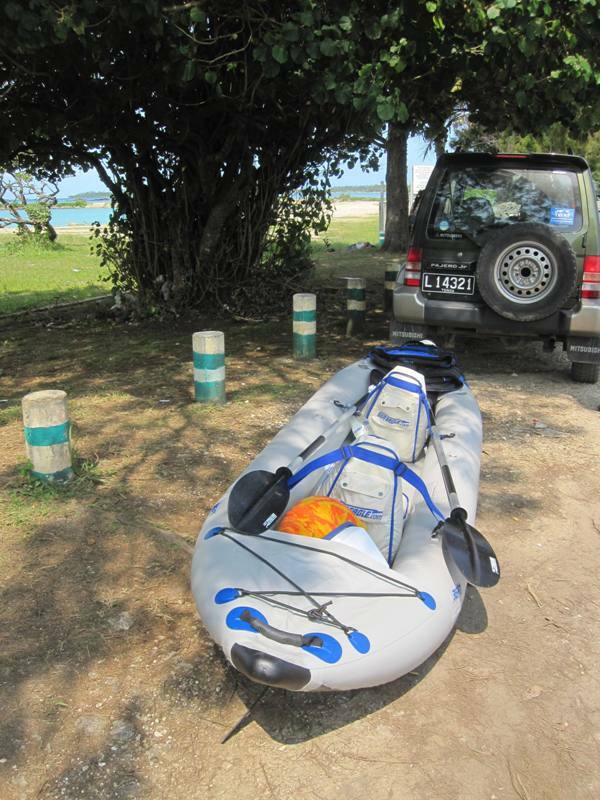 And we ended up bringing our Sea Eagle kayak home with us in the hope that someday, we’d be able to use it again. Several weeks later in the month of November, at Sam’s suggestion, I emailed Sea Eagle. Sam was thinking about trying various methods to repair our little boat and thought perhaps SE might have some suggestions on materials to use. 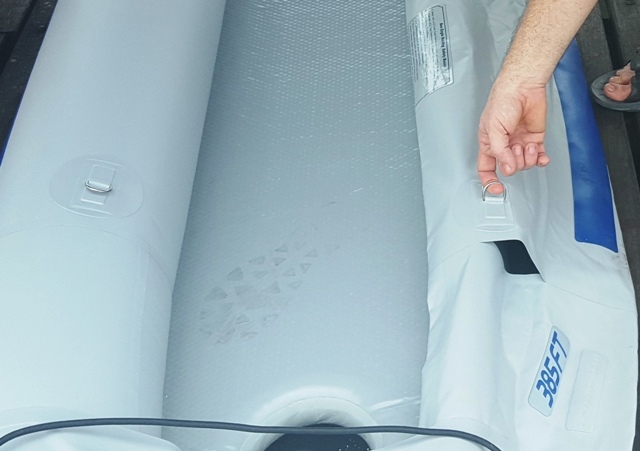 We knew our three-year warranty was long over — and that storing our kayak unused for over two years hadn’t done it any favors, either — but still, we thought we might be able to salvage it somehow. So I wrote to them and told them our story. 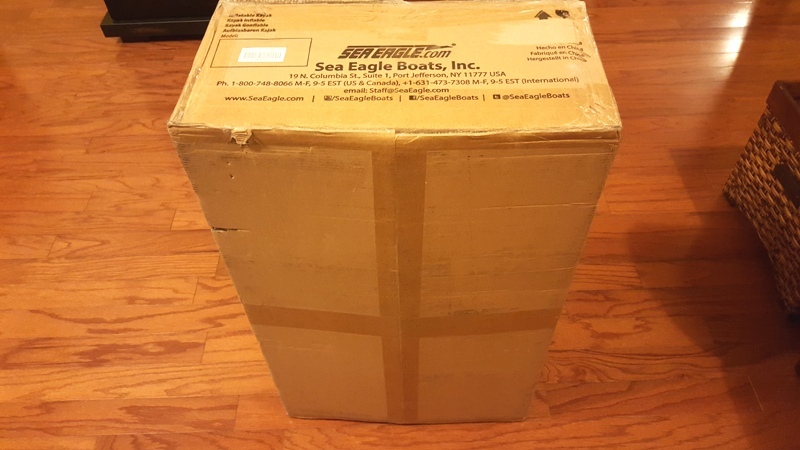 Why Sea Eagle’s Customer Service … ROCKS! A week or so later, I received an email from someone named Donna. She apologized for what had happened and asked for a photo of the seam as well as our boat’s hull number. Well, since we’d documented our failed Manado adventure thoroughly, I had lots of photos to share! But I sent this one. We would like to replace your kayak even though you are out of warranty. I did speak to my export manager and he said if we ship to Indonesia we will not be responsible for problems (if any) in customs. Is there somewhere else you would want us to send you replacement to? I do need you to do one more thing before I can send out your replacement. I will need you to cut 2 pieces out of your boat. The first one should be a piece of the seam, around where the leak/split is, and the other piece should be the hull number (starts with LES). I then need you to send a photo of those 2 pieces back to me. Once I receive these photos, I will be able to send out your replacement. Unfortunately, we do not have the Classic 385FT any longer. We will need to replace your kayak with our newer 385FT. The pontoon shape and coloring are a little different but the new 385FT comes with a new sleeker design and an inflatable keel, which allows you to track faster and sharper. So great! 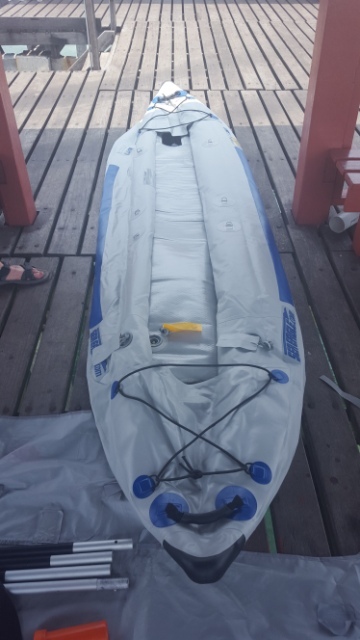 Needless to say, I promptly hacked up our poor boat and extracted the hull number, cut out the seam and sent a photo back, along with a request that our new kayak be sent to our mailing address back in the states. We were going to go there for Christmas, so it all worked out perfectly. And sure enough, when we arrived in the US, a large package was waiting for us at Sam’s parents house, just in time for Christmas! I can’t think of a better experience with a company than what Sam and I have had with Sea Eagle. Not only has their product provided us with an affordable means to travel and experience places we’d otherwise never have done, but the memories we’ve gained from our time kayaking are unique and irreplaceable. And when I combine all of that with the kindness we experienced from a company who honestly owed us nothing, well, it’s hard to trump that. Right? Nothing but good vibes as far as we’re concerned! 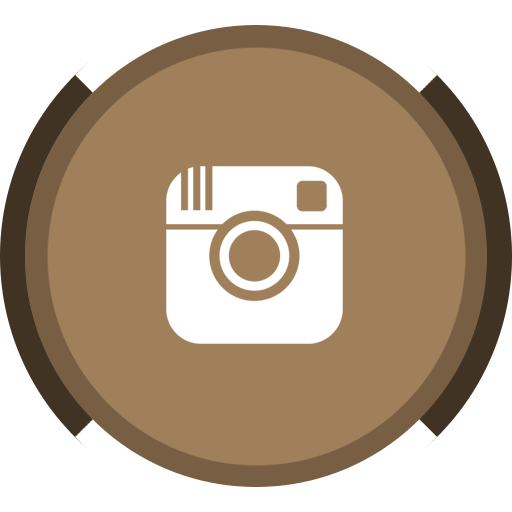 So, that’s the end of our Sea Eagle kayak story … for now. Unfortunately, we ended up having to leave our new boat at home in the US as we didn’t have enough luggage allowance to bring it back to Indonesia with us. But we’ll be taking it for a spin as soon as we have the chance once we’re home again!